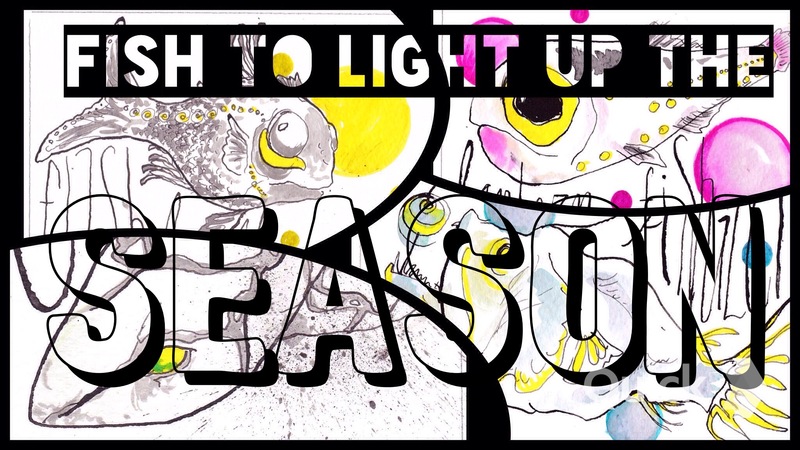 Fish That Light Up Your Season! On this Winter Solstice, we hope to add a little brightness to your darkest day (for those in the Northern Hemisphere). Imagine walking your dog in the dark of night and not needing a flashlight, or scuba diving to deep depths and not needing to bring a light source, all because you create and emit your own light! When it comes to organisms creating their own light, most people think of the hind end of a firefly. Incredibly, this process is not secluded to fireflies caught in a jar. It is present in many organisms across the phylogenetic tree of life, including animals, fungi, and bacteria. Yeah, you heard me right…GLOWING MUSHROOMS! 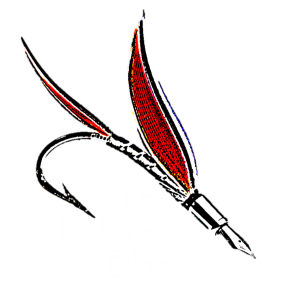 But this is The Fisheries Blog, so let’s talk about fish and other aquatic organisms. Bioluminesence is the production of light by an organism through a chemical reaction in their body. The result of the chemical reaction is light! 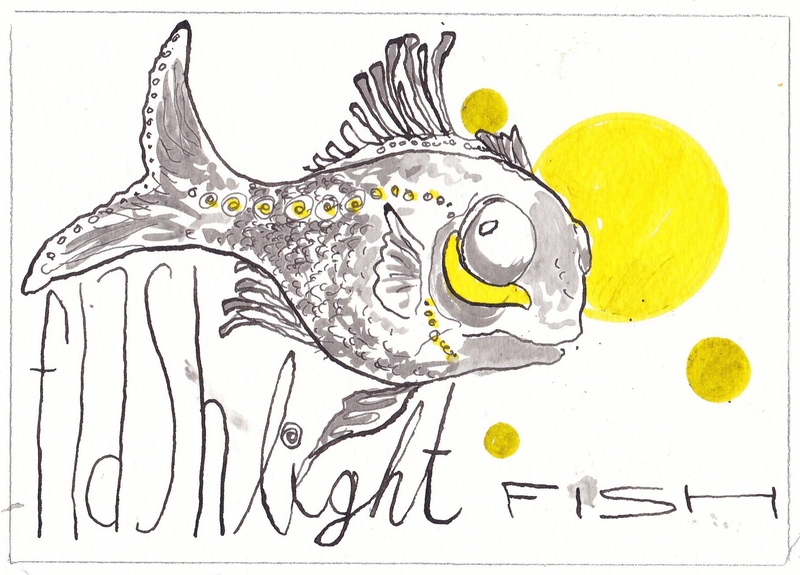 The Fisheries Blog previously explained that a school of these megawatt fish are said to produce the brightest glow of any living organism – they can be seen from over 100 feet away. Their “flashlights” are large photophores, light producing organs, powered by symbiotic light-emitting bacteria. The flashlightfish can rotate their photophores to “turn off” their “flashlights.” They use these bright lights to signal to other flashlight fish, to attract prey, and also to evade predators by flashing their light in one direction then turning it off and swimming in another. 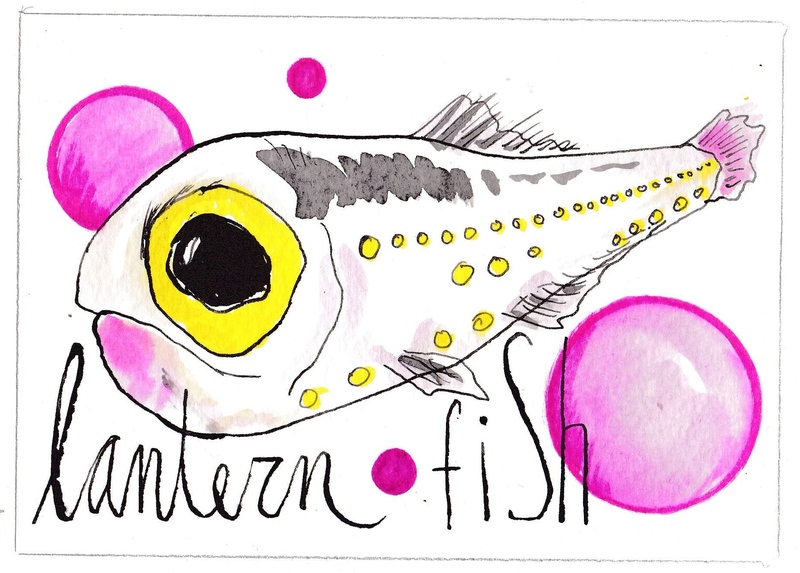 Lanternfishes are a family of deep-sea fishes found across the globe. In fact, deep-sea trawl surveys indicate that this single family comprises as much as 65% of the fish biomass in the deep sea! Aptly named lanternfishes, all but one species in the family have photophores along their lateral and ventral sides in species-specific patterns. It is likely that these patterns are used to signal to potential mates. Some lanternfishes have very bright photophores near the base of their tails which are also believed to disorient predators with a blinding flash as the lanternfishes swim away to safety. 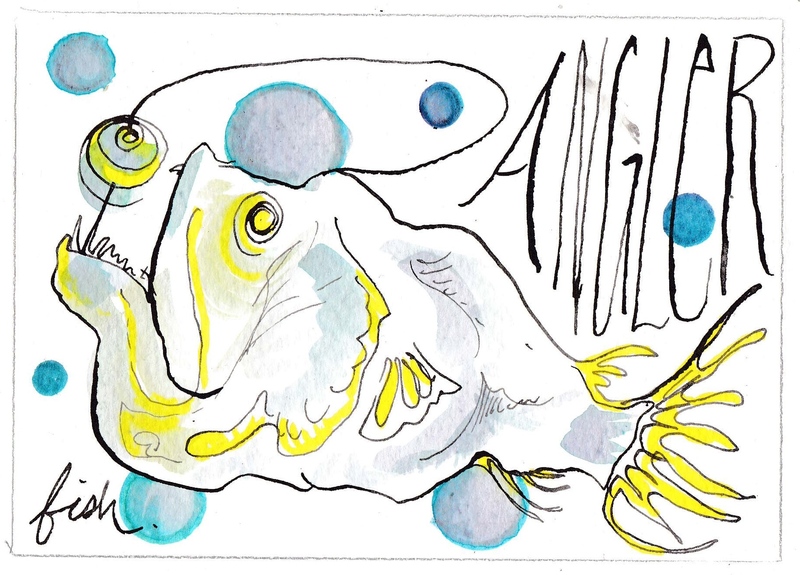 Anglerfish produce light at the end of a fishing-rod-like extension on top of their heads. They use this lure in the dark to draw prey to their razor-toothed jaws . The angling structure evolved from the spines of the fish’s dorsal fin, and is inhabited by large numbers of bioluminescent bacteria that make it glow. Unlike the fish listed above that are vertebrates, Moon Jellyfish are invertebrates, and lack a spine. 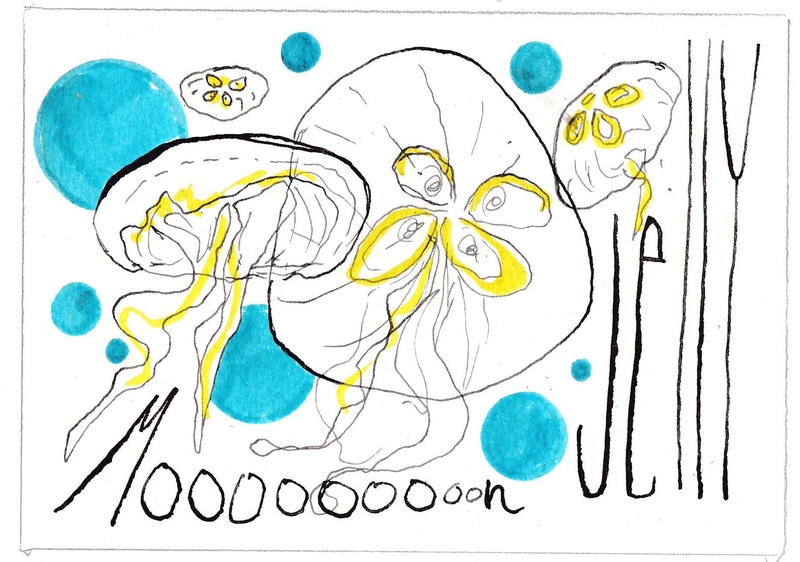 However, just like the fish above, Moon Jellyfish are bioluminescent. That means that they produce light by a chemical reaction happening within their bodies. Moon jellyfish have two critical chemicals in their bodies that make them glow: luciferin and luciferinase. The oxidation of lucifrin creates luciferinase with a byproduct of light, thus making the organism glow. The Fisheries Blog informed you a year back that more than 180 fish have been discovered to exhibit a unique adaptation called biofluorescence. Unlike bioluminescence where fish create their own light, biofluorescent fish absorb and transform light. One such animal is the Chain Catshark. In the sea, where blue light penetrates to greater depths than other colors of light, fish are able to absorb and transform high energy blue light into lower energy colors like orange, red, and green to display vastly greater visual patterns than were previously thought. High intensity blue lights are now being used by SCUBA diving scientists with special cameras to see the incredible patterns of otherwise plain looking fish. Even more recently, it was discovered that sea turtles also biofluoresce! Hannah Dean is an artist by night. She works in ink, water colors, paint pens, and whatever else she can handle. Single speed bikes are her bailiwick. She just moved to Maine which is so beautiful it’s blowing her mind a bit. Contact her with art projects athdean83(at)gmail.com or follow her on Instagram if you like@nodicenodice. 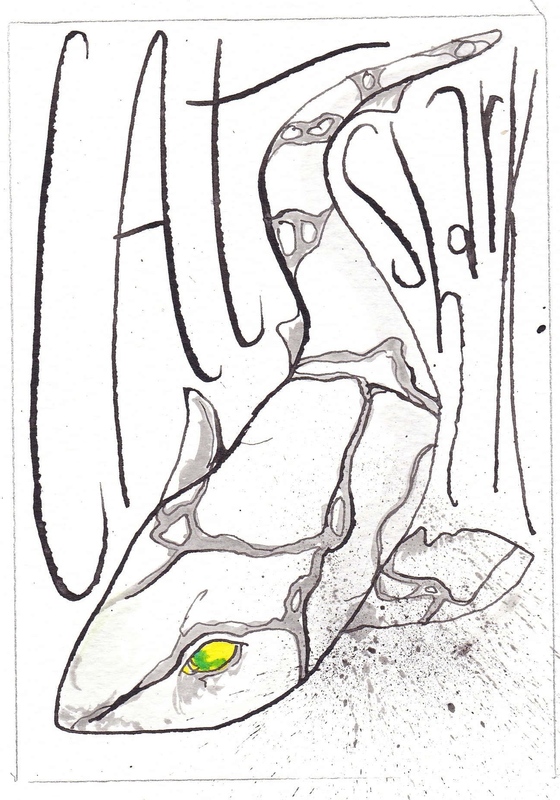 Also, check out the scary artwork she did for The Fisheries Blog in October.